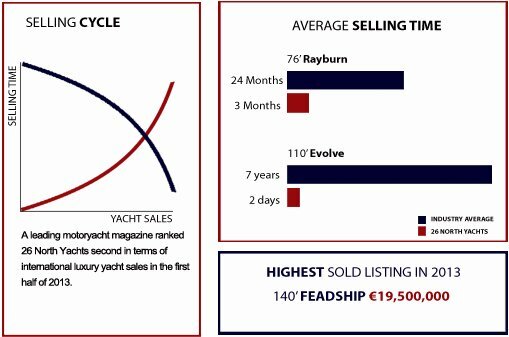 To outsell and outperform ALL motoryacht competitors in the United States, becoming the most admired boutique brokerage house in North America. To engage aggressive goals and implement innovative, yet disruptive marketing strategies that create a powerful platform for buyers and sellers of motoryachts in the 70’ to 140’ range. 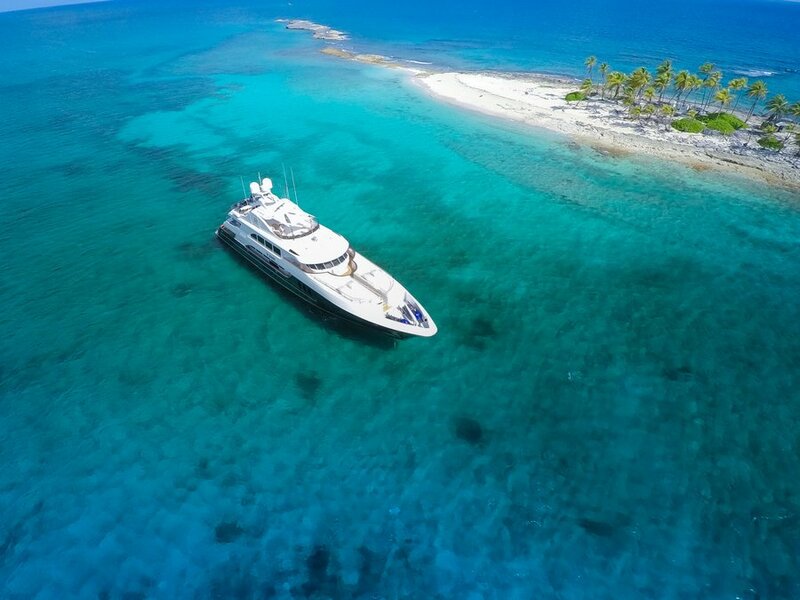 26 North Yachts Owners Mike Carlson and Nicholas Scherb met in high school. They spent summers on neighboring lakes in Wisconsin—Carlson on Lake Delavan and Scherb on Lake Geneva—where their passion for boats, water and success began. After college, Carlson pursued the sales side of the yachting business while Scherb ran boats. In June 2011, the guys decided to go out on their own, feeling hemmed in and limited by the old-fashioned ways of the yachting industry. Shrinking the sales cycle for buyers and sellers. Read More. Rounded 2 Outselling competitors for our definitive Top 10 Motoryacht Brand list. Read More. 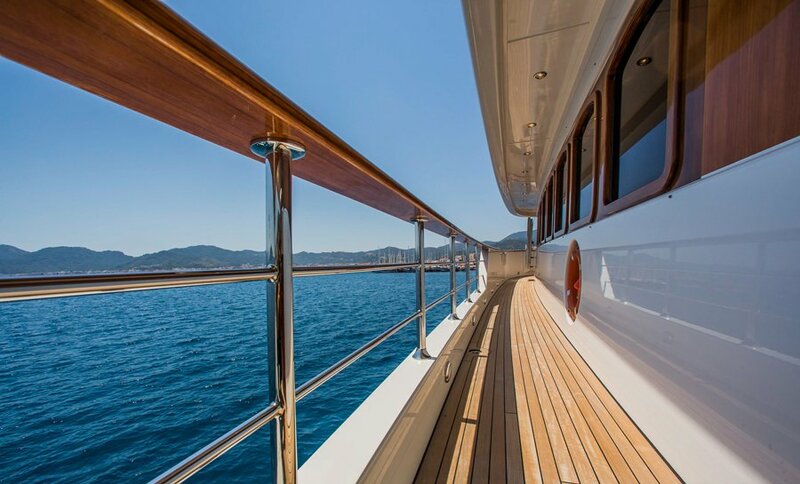 Rounded 3 Establishing and perfecting a turnkey sales and yacht management operation to generate 100% customer satisfaction for buyers, owners and sellers. Read More. 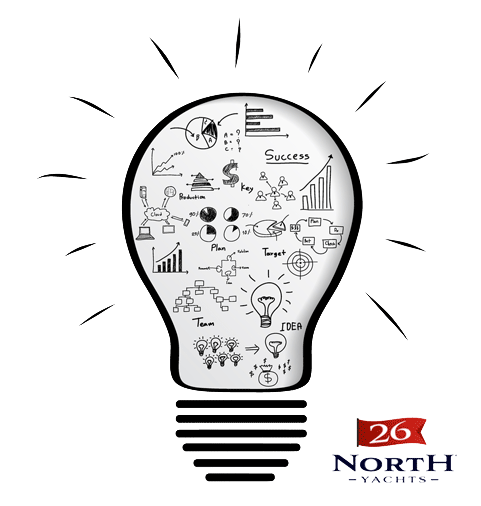 The 26 North Yachts Differentiation. 26 NorthYachts seeks talented, hard-working individuals to join our growing team in the areas of sales, charter & management.